Our Restaurant in Portals Nous is an authentic culinary dining experience. 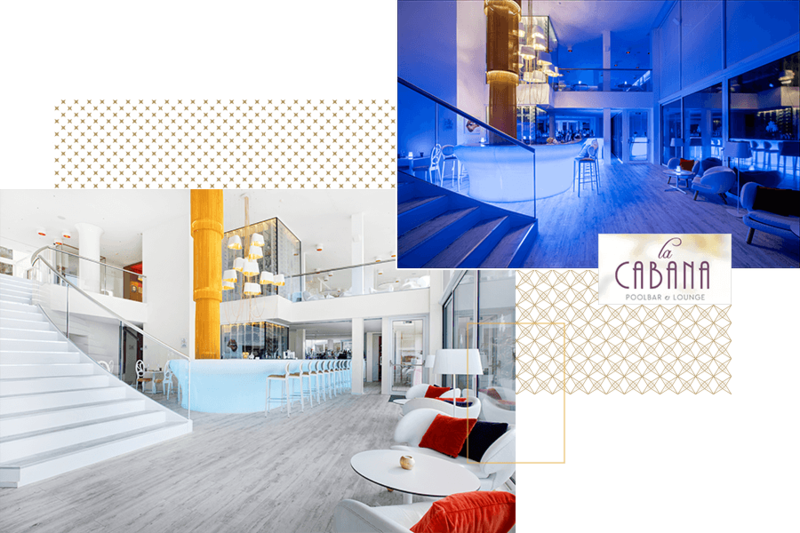 Lively, chic and full of life, its culinary art perfectly complements the glamorous style of Portals Hills, offering a new style of cuisine and entertainment which is very in demand in the south west of Mallorca. The restaurant guarantees a perfect and personalised service as well as magnificent food. With a seasonal menu which is altered to the needs of our clients, even the most distinguished palettes will be able to savour a grand variety of dishes of high quality cooking that represent a modern interpretation of traditional and Mediterranean cooking. Whenever it be possible, all of our fresh dishes will be made with organic and local products, sourcing them from well-known suppliers from the local area. At the same time, our wine and Champagne cellar has an excellent wine bar on two glass floors, it is one of the most extensive and well stocked on the island. For intimate lunches and dinners, our private room can be reserved for a maximum of up to ten people. Our head chef can create personalised menus, always having in mind the tastes and needs of each client. Surrounded by palm trees and next to the infinity swimming pool, the Portals Hills Poolbar and Lounge is the best possible place to freshen up and recharge. During the day, the pool bar is a very cool spot in which the hotel clients can have lunch or enjoy a glass of something cold in a chillout environment with the best music. 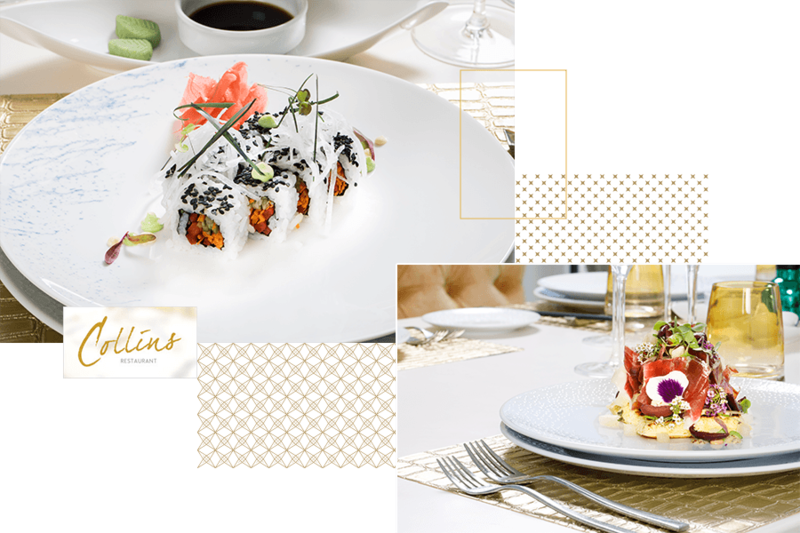 Its menu which is carefully created offers a great catalogue of dishes to discover and flavours to savour, from classic international dishes such as the Club sandwich or a Caesar salad to a current interpretation of Mediterranean cuisine with grilled asparagus and grilled tuna. A specially selected wine could be the perfect pairing to your dish. Also, across the day we will offer culinary delights and other refreshments straight to your hammock. By night, the famous Mallorcan sunset displays its kaleidoscope of colours, the Poolbar & Lounge which has indoor and outdoor spaces, is open to the public and other members of the international jet set lifestyle which have come to mix with our hotel guests in this meeting point for the local society. Pelican seats and welcoming seating areas decorated in gold will provide an ideal setting in which you can enjoy a glass of champagne which has just been poured or a signature cocktail, such as a Margarita which we lovingly prepare. On various occasions throughout the week you will hear music from our DJ who adds a touch of glamour to our pool area. Portals Hills Boutique Hotel is proud to present one of the most extensive wine lists on the island, with two sections of Spanish and international wines on offer, displayed in a showcase cabinet which covers the entire wall. 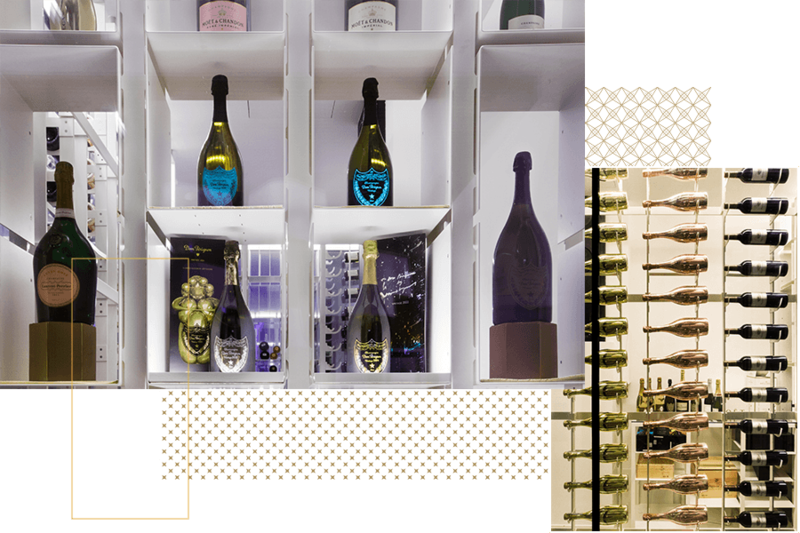 There is a capacity for up to 2.500 bottles, the display contains vintage and contemporary wines joined by exclusive champagnes such as Louis Roederer and Dom Pérignon Vintage. At Portals Hills we have ensured that we hold a great number of renowned wines and champagnes so that we can satisfy the needs of our exclusive clientele, including of course the best selection of Mallorcan and Spanish wines. With the help of our sommelier, we find very rare wines from boutique wineries, wines that are yet to be discovered, to enrich even further our extensive wine list.